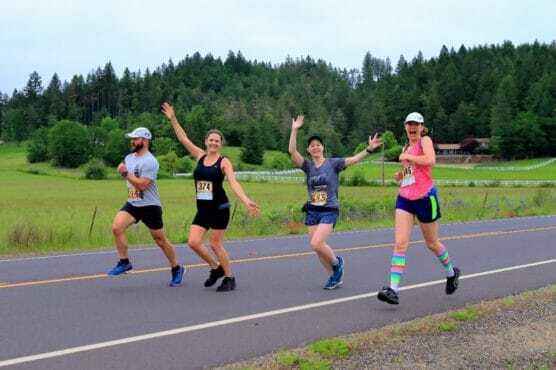 The rolling green hills of the wine country just southwest of Eugene here in western Oregon forms the backdrop for the 7th annual Grapes of Half Marathon, which included a full marathon in past years but will feature the half marathon only this year. The half marathon begins at Noble Estate Winery along Gimpl Hill Road, and finishes at Sweet Cheeks Winery on Briggs Hill Road. 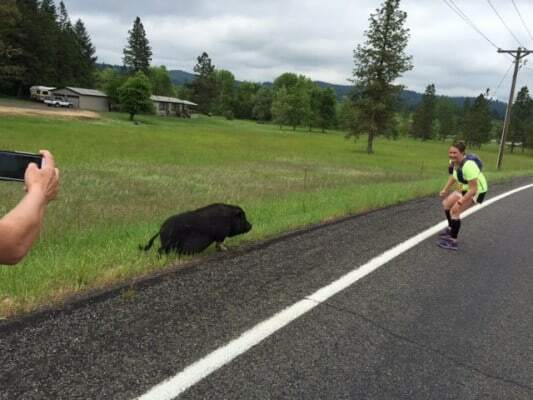 In between, the course features largely flat terrain along rolling rural roads, punctuated by the occasional steep hill — especially around miles 8 and 12. 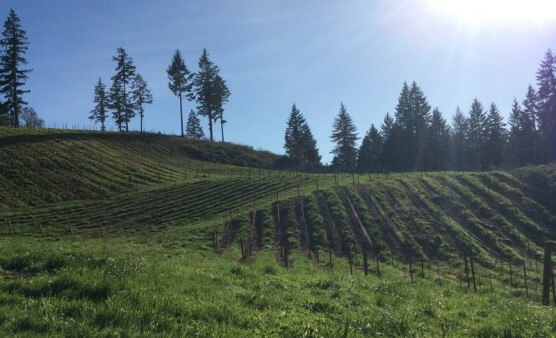 Along the route, runners will pass by a number of vineyards and wineries that make up the Eugene Wine Trail, with rolling valleys that are home to farms, orchards and row after row of wine grapes. Runners will make their way past farms, forests and wineries as they follow Gimpl Hill to Pine Grove Road, Erickson Road, Crow Road, Doane Road, Territorial Highway and Briggs Hill Road, all the way to the race finish line at Sweet Cheeks Winery. The biggest hills come right after the start, as runners have a steady downhill drop in the first mile right after leaving the starting line at Noble Estate Winery. Then again, just after they pass the Ford Farms Reservoir on Doane Hill Road between mile markers 7 and 8; and then again the last big hill comes between miles 11 and 12, as they head off Briggs Hill Road into Sweet Cheeks Winery. The half marathon is open to walkers as well as runners. 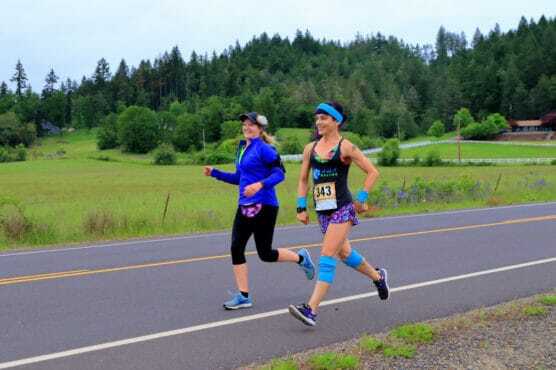 Oregonians aren’t the only ones who love this race, they add — runners from several other states signed up for last year’s Grapes of Half, from as far east as Connecticut and Florida. The race is appropriately named, as there is a steep ascent up the Sweet Cheeks Winery driveway, mile 12 for the half marathoner participants. Nestled among the peaks of Spencer Butte, Skinner Butte and the Coburg Hills of western Oregon, Eugene typically sees May temperatures that average between 43°F and 67°F, while rainfall totals average just over 2.6 inches, making May one of its drier months of the year. See the race route map for the Grapes of Half Half Marathon here. To reserve your spot in the 2019 running of Eugene’s Grapes of Half Marathon race, register online at GetMeRegistered.com here. Ever run in the Grapes of Half? Share your impressions here, or post your review in the Comments below.